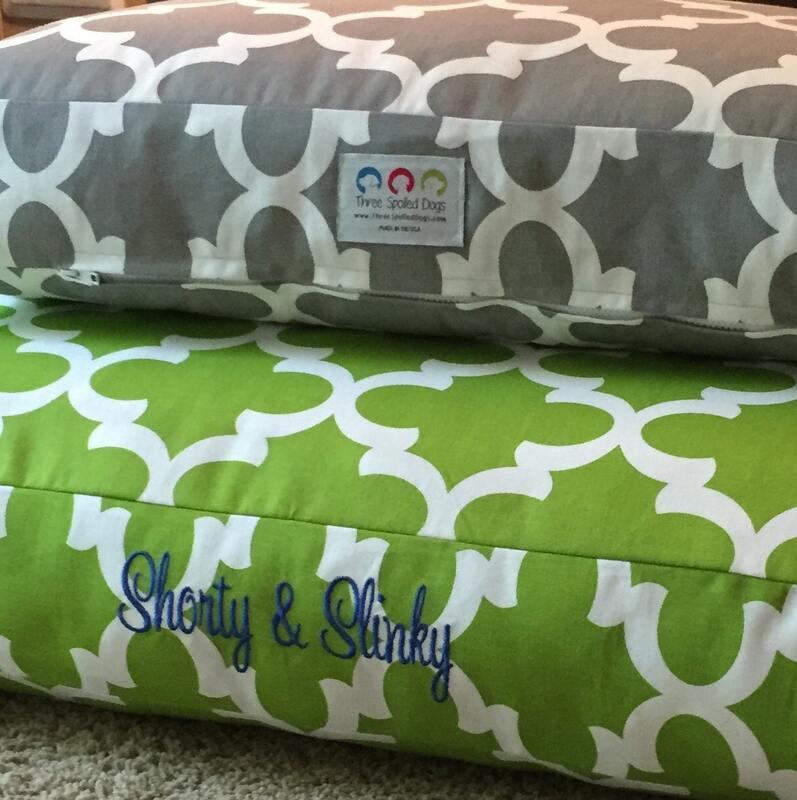 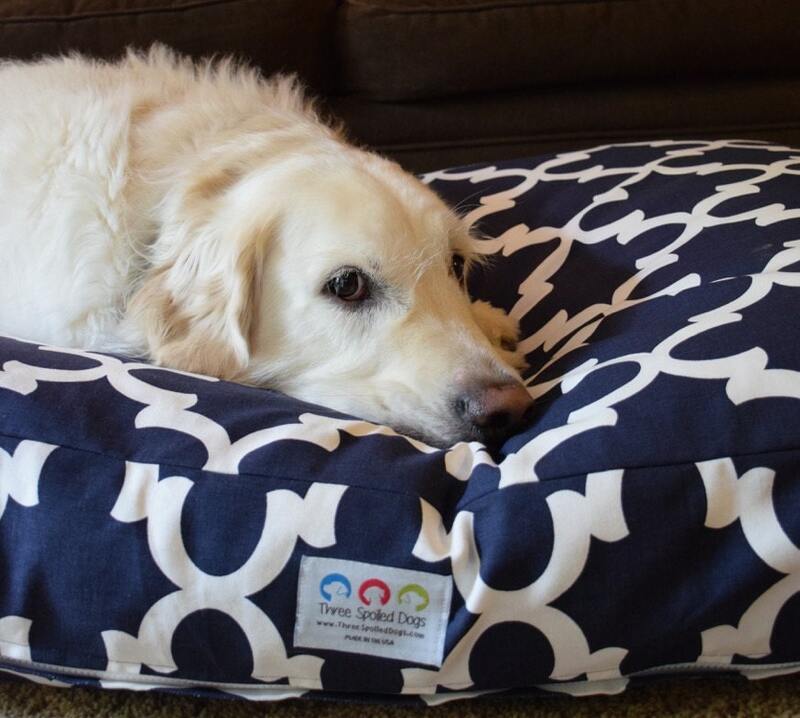 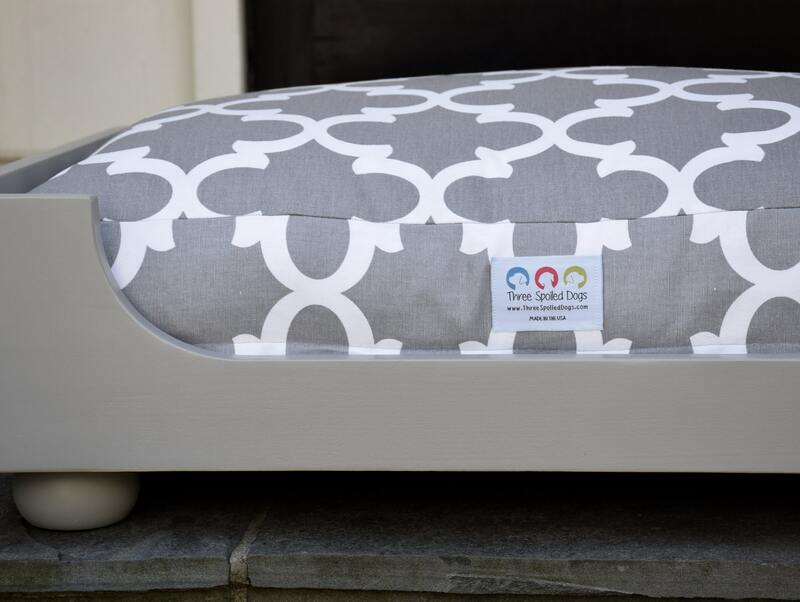 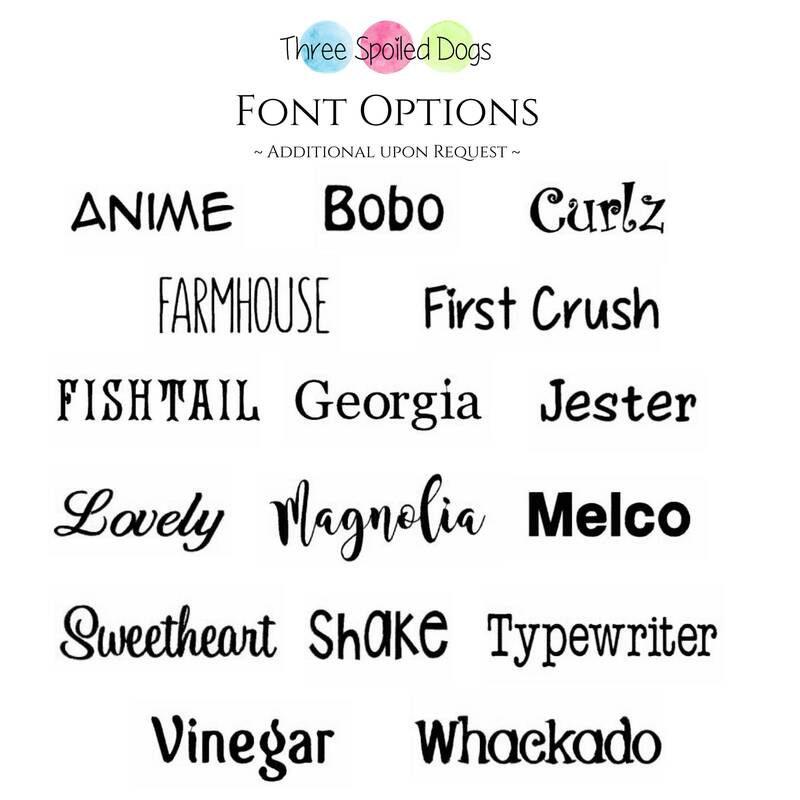 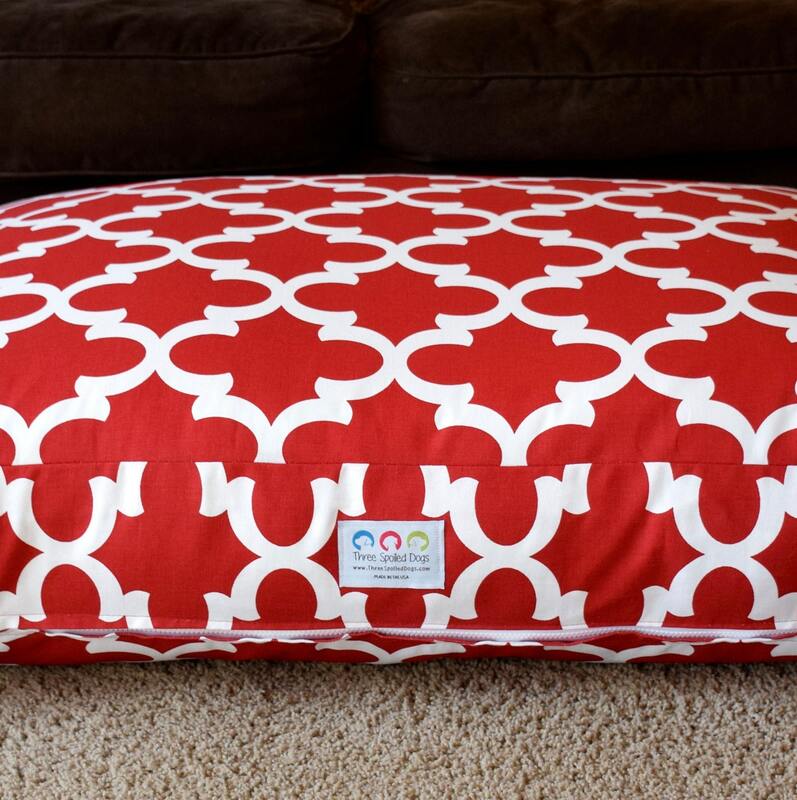 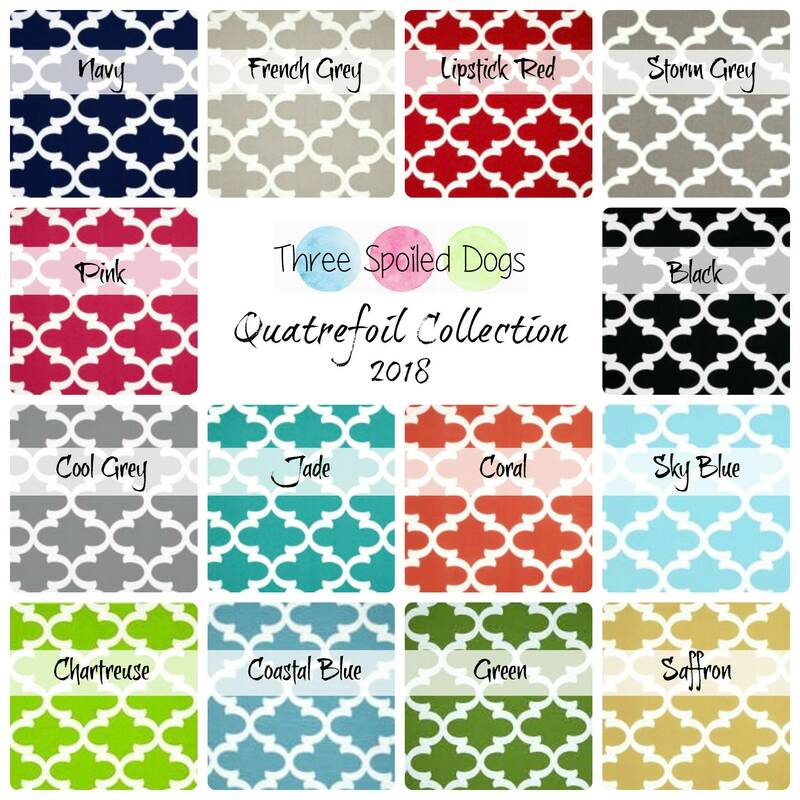 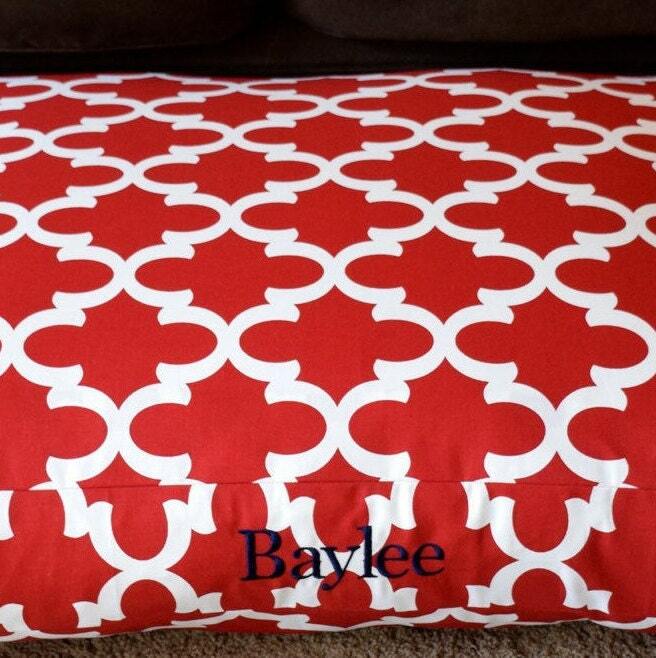 Our BEAUTIFUL personalized Large Dog Bed in Grey is from our Quatrefoil Collection - we have 16 colors in stock! 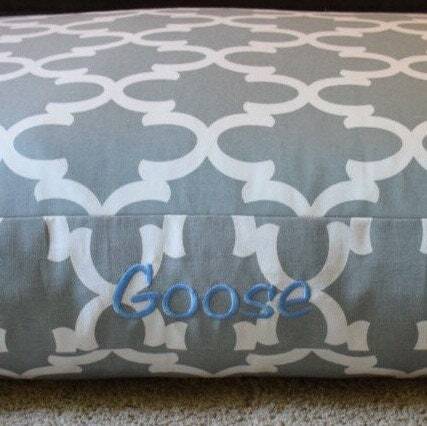 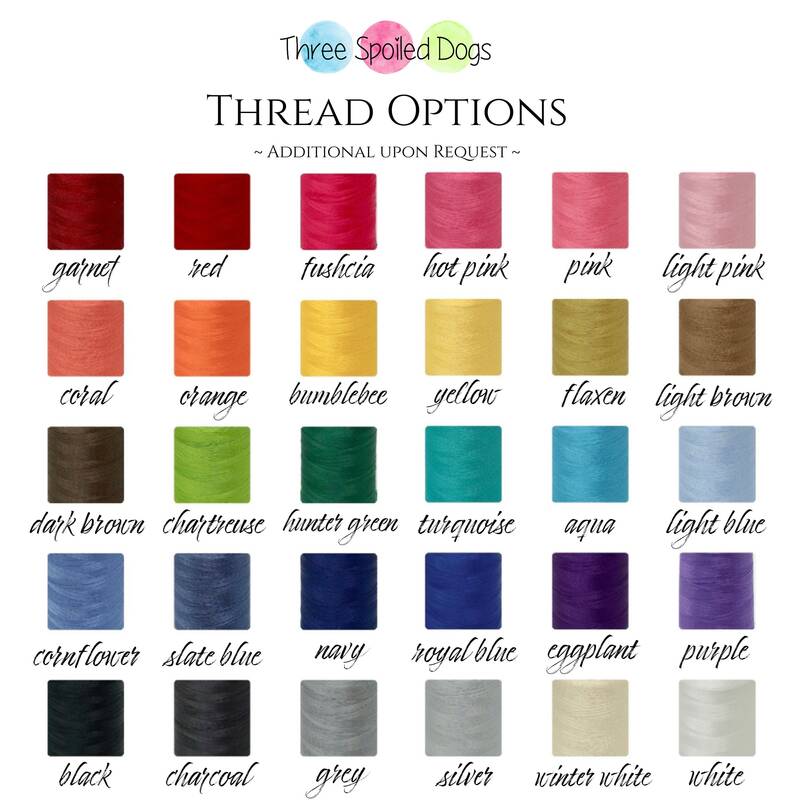 This fabric looks GREAT embroidered with a pets name and makes a great puppy dog gift! 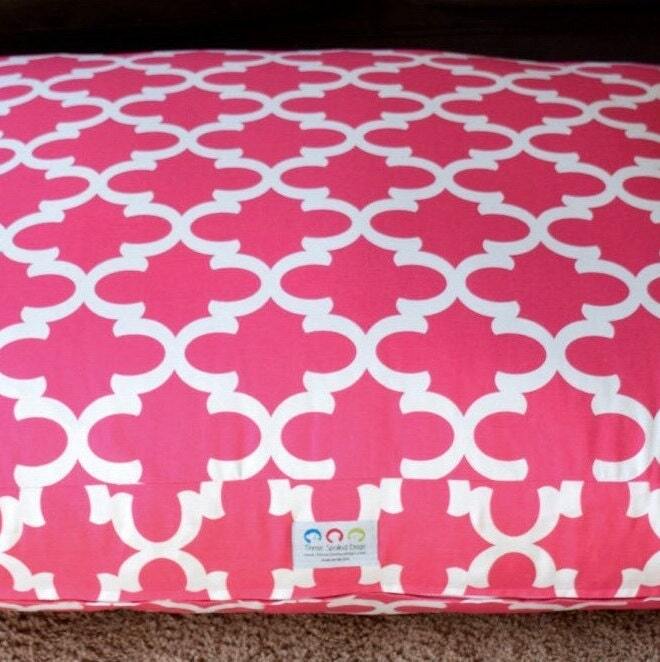 Alternatively, you can easily fill it with one of our premium dog bed inserts (sold separately at https://www.etsy.com/listing/684739131 , an old dog bed, or your own linens or pillows.